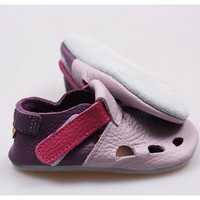 Extremely lightweight, weighing about 90g. 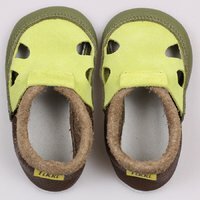 This product worth 85 loyalty points. Available in the size range 19-22, 24, 26, 28, 30 EU, our "Chubby" Chrome Free soft shoes can be used indoors at home or at the kindergarten, being soft, lightweight, ultra flexible. 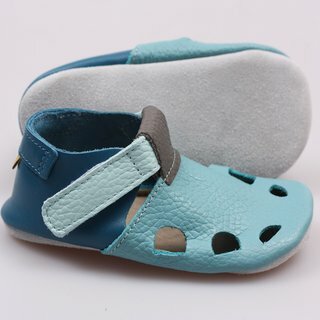 They have a 3 layer sole: a leather outersole, a 3mm waterproof latex middle layer and the Chrome Free leather insole. 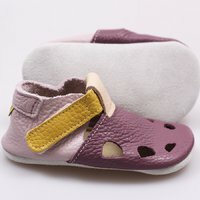 As the name suggests, this range was specifically created for little chubby feet. 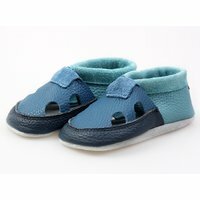 The soft soled leather shoes are ideal forindoor and long-term wearing (e.g. 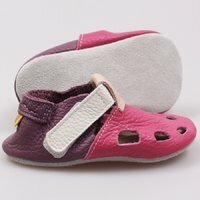 at the kindergarten), as they don’t prevent the natural foot development, allow free movement of the soles (compared to the rigid shoe outsole which reduces balance), they keep warm while at the same time allowing the feet to breathe. 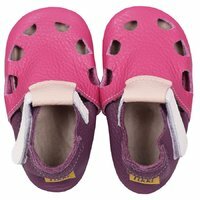 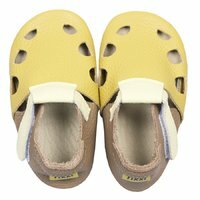 Tikki Shoes are ideal for the first steps. 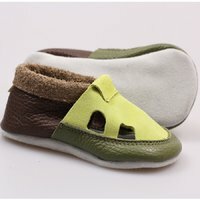 Only soft leather soles can be so flexible as to be folded completely by babies. 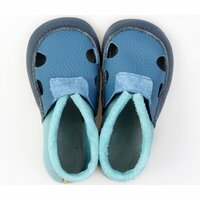 When they start walking, young children need to practice barefoot, because only through bare feet they can perfectly feel the floor, have a good balance and strengthen their muscles. 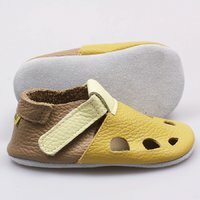 Our shoes do not restrain feet natural development, all they do is protect them from cold, rough or slippery surfaces. 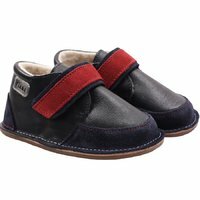 As long as the weather is dry, you can use Tikki Shoes to practice first steps in the park, in the store, at the grandparents, wherever you go for a walk. 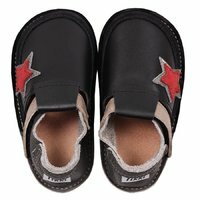 The integrated foam layer is sufficiently protective for the child as to not feel cold or sharp objects, while its ultra-flexibility provides the sensation of walking barefoot.